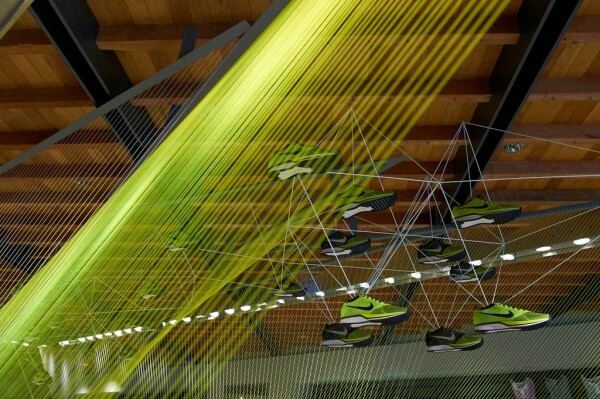 We created a temporary display for the Nike flagship store in Omotesando during the promotion for thread-knit NIKE Flyknit shoes. 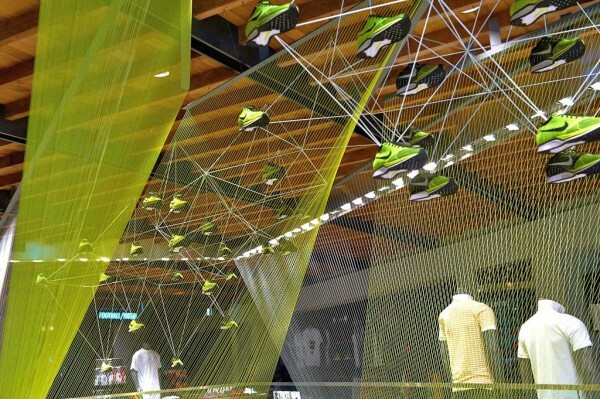 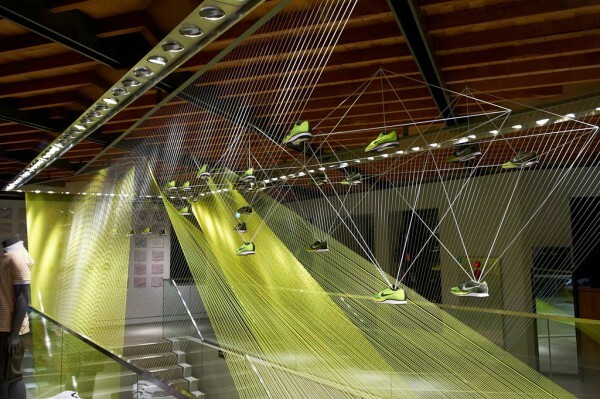 The display makes use of the characteristic thread motif found in Nike's new shoes. 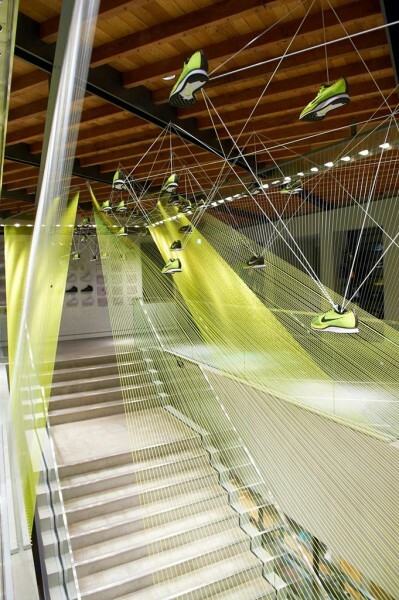 The threads spreading out as if weaving in the display space are leveling strings used to ensure that building materials are level, and their bright and fluorescent color echoes that of the shoes. 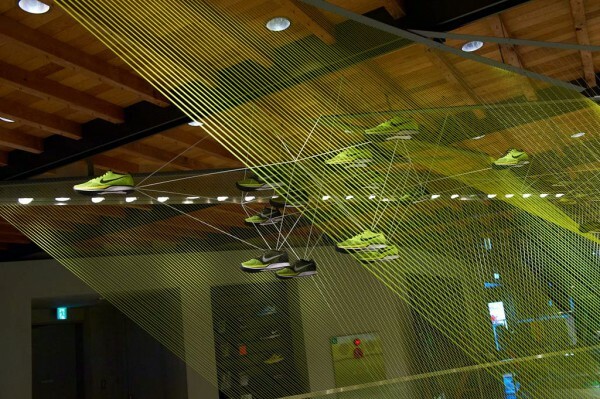 The primary pattern accompanying the three-dimensional curved surfaces produced by the array of leveling strings, and the geometric form resembling spread wings created from an assembly of hyperbolic paraboloidal shells make a visually intricate pattern. 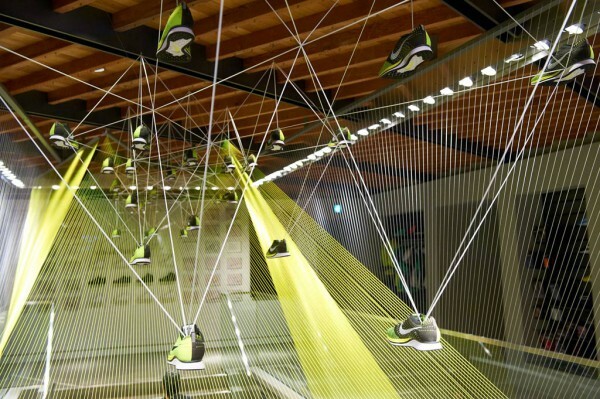 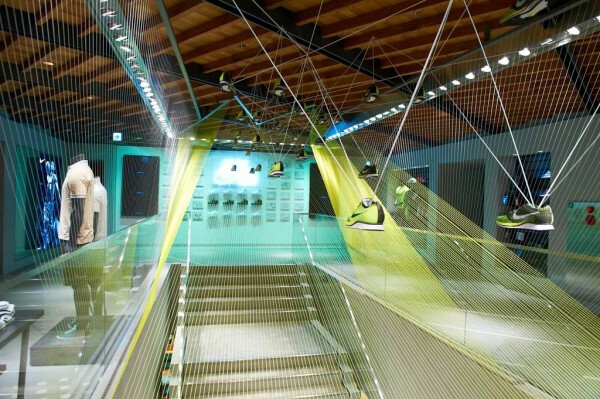 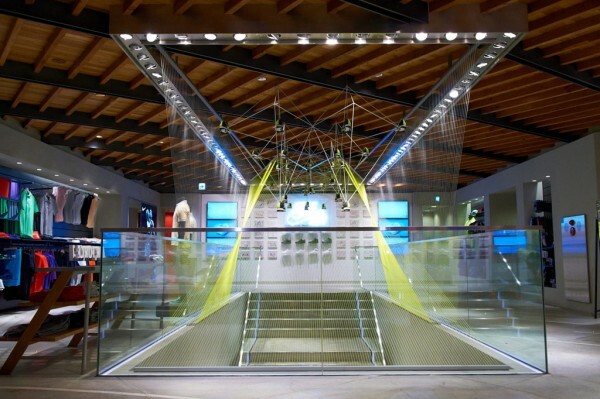 The shoes suspended in the air by threads are linked together by a diamond-shaped frame. 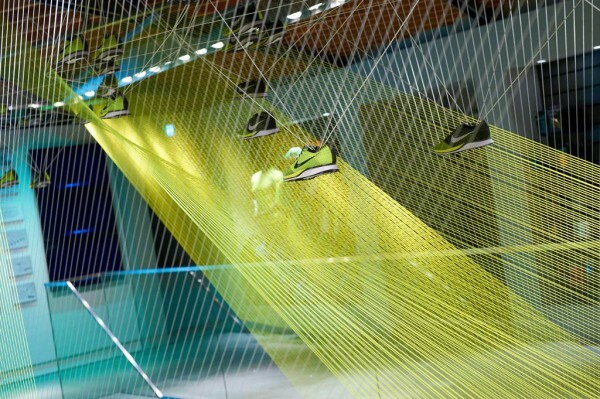 The continuously overlapping threads represent the interconnected view of the world put forward by Flyknit shoes which are all weaved from threads.